Be realistic. That is what we are told. I think we have been thinking about that advice all wrong all this time. It is actually perfect advice. Let us be realistic for a moment. Thomas Stanley wrote a fantastic book many years ago called The Millionaire Next Door. In this book, he describes the results of several decades of studying the truly wealthy in our country. He interviewed only those who were actually net worth millionaires or better. He talked to them about their habits, their businesses. their philosophies, etc. What he found out was that most of the people in this country who are living lives of true prosperity are not the folks you see on television. 99+% of these people are unknown outside of their local communities. They are not entertainment stars, tech entrepreneurs, politicians. Most of them own small to medium size businesses in rather mundane industries. Some own welding shops, mechanic shops, bakeries, construction companies. Most of them live in middle-class neighborhoods and drive domestic cars and pickup trucks. Most of them have been married to the same person for a long time and have lived in the same house for decades. They wouldn't be caught bragging about their wealth because they earned it gradually and understand that most of those who brag, do so because of fear that they will lose what they have. Really prosperous folks know they can replace anything that is lost because the simple skills and strategies they used to acquire their things are still with them no matter what happens. The most common paths to prosperity in our country? Owning a small business. Owning rental real estate. Owning stocks and bonds. Think about that for a moment. 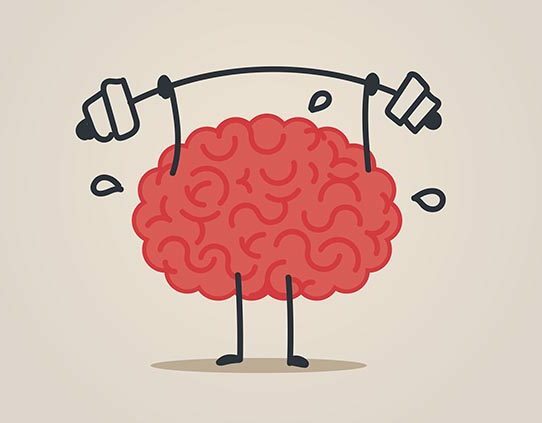 Which of these is unreachable to you? Is it unrealistic for you to buy a few shares of stock? You probably already bought one house. Who says you cannot buy another for investment purposes? Heck, there are kids starting businesses today, why can't you? I will tell you what IS unrealistic. It is completely and utterly unrealistic to think that you are uniquely disqualified from these avenues to prosperity. To think that millions of other people from similar backgrounds and with similar skills and abilities have done these things, but you cannot. Truthfully, in today's digital world, these are only a few of the avenues available. Now, there are a whole new set of possibilities due to the internet and our connectivity. People are making money with silly videos. People are becoming wealthy playing with toys on YouTube. People with internet blogs are raking money in. All of yesterday's paths are still available and a whole new pile of opportunities are now available also. If you think that, for some mysterious reason, you alone are destined to be left out, you are not thinking realistically. You are assigning yourself a label that does not make any sense at all. 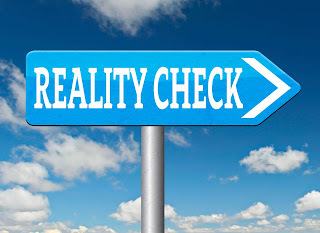 Embrace the reality that you can choose any one, or even several of these paths to prosperity. No one is stopping you but you. For one of the few if not only times, I agree with Donald J. Trump; The system is and always has been rigged. In fact, Donald Trump can say that with confidence because he has been a part of the rigging since birth. Mr. Trump was referring to our political system when he uttered those words, however, systematically it is much larger than any political system. The system that I am referring to that is and has always been rigged is our economic system. You know, "The Haves," "Barely Haves" and "Have Nots," commonly known as the "Upper Class," "Middle Class," and "Poor." Historically, the upper class in many cases became upper class off of the backs of others and/ or by cheating the system (rigging). This cheating of the system or profiting off of the backs of others allowed them to become even more economically well off ensuring their future generations would remain in that category. Ultimately, once sustaining wealth was attained all efforts were made to appear legal and upstanding with none being the wiser of the nefarious activities that had produced the wealth. Alas, the rigging had begun. The rigging also included the "isms" that was mentioned in my last post; racism, sexism, classism, ableism, anti-semitism, ageism and heterosexism. The perpetuating of the "isms" facilitated the further rigging of the system. Certain groups were aided in building wealth while others were systematically and intentionally set up to do just the opposite. In fact, these groups helped to build the wealth of the very people who were keeping their boots on their necks. Yes, Mr. Trump, the system is rigged. It always has been. Our most recent rigging that came to light is this College Admissions Scandal whereby an FBI probe alleges that a network of celebrities, business executives, and other powerful figures is at the center of a massive bribery scheme to secure admission into some of the country’s most elite colleges. How's that for the system being rigged? Think about this scam for a minute and what it says about our educational system. For whatever reason these parents did not feel that their children had what it took to gain admission to these schools, so they felt the need to pay for their admission. The children either knew and went along knowing that they were not qualified or they did not know and were led to believe that they were qualified when they weren't. 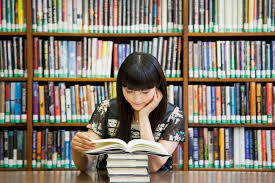 The "Barely Haves" and the "Have Nots" do not have the opportunity to ensure that their children get accepted into a prestigious university whether they are qualified or not. Heck, many are struggling to get them in there even when they are qualified. THE SYSTEM IS RIGGED. It was rigged for 50 or more people including actresses Lori Loughlin and Felicity Huffman. I overheard a young man the other day say, "It isn't illegal if you don't get caught," and I was blown away at hearing someone verbalize what I can imagine far too many people think. I was moved enough by the statement to produce a podcast episode about it using the statement as the title of the podcast. I guess that is what all of those Upper Class (The Haves) were thinking when they fixed (Oh they had a "Fixer" too) those SAT scores and other entrance requirements. In the College Admissions Scam, the system was rigged against students who fell in an "ism" category who were most likely in the middle or poor classes because those who have money and lots of it decided to tilt the scales in favor of their children in order for them to continue making even more money. Yes, the system is rigged. The Admissions Scandal is just one example of how the system continues to be rigged while those who are rigging it continue to play the innocent role and deny the very opportunities that they are cheating to have from those who attempt to gain them honestly. I'm sure that there are countless other rigged schemes out there that are keeping the classes where they are. Mr. Trump was indeed correct with his assertion of the political system being rigged. It was rigged in his favor. He was letting the world know that the system was indeed rigged because he was a part of the ones rigging it. He made it seem as if it was the media or his political opponents when in actuality it was him who was a part of the very rigging that got him elected. Come on now, how else would Donald J. Trump get elected President of the United States if the system was not rigged for him to win? As more and more scandals come to light, America is looking sadder and sadder. One would never know that America is being made great again (if it ever was). In fact, it seems to appear that we are Making America Corrupt Again (MACA) (If it ever wasn't). You can hear me live each Saturday from 6-9 a.m. ET as the host of The Reading Circle on gobrave.org and FM radio WP88.7 FM. I invite you to visit my website at marcamedley.com to learn more about my radio show, podcast, blog, social media sites and musical projects. The Reading Circle can also be accessed via TuneIn Radio. 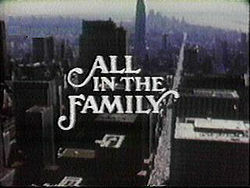 Yesterday I was watching the old 70's situation comedy (sitcom) known to us as ALL IN THE FAMILY. 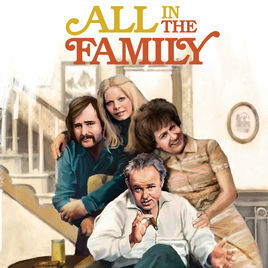 If you were to "Google" All In The Family, the description would read "All in the Family" is touted as the series that brought reality to prime-time TV entertainment. The lead character, Archie Bunker, is a loudmouthed, uneducated bigot who believes in every stereotype he has ever heard. His wife, Edith, is sweet but not the sharpest knife in the drawer. They and their daughter, Gloria, and her husband, Mike, all live in a working-class home. Unfortunately for Archie, he can't avoid the people he disdains: His son-in-law -- whom Archie calls "Meathead" -- is an unemployed student and of Polish descent; the Jeffersons next door are black; Edith's cousin Maude is a feminist; and, later, his partners in a local tavern are Jewish." The show was produced by Norman Lear and Bud Yorkin. I've watched reruns of the show periodically and regardless of which episode I am watching, it never fails to get a laugh-out-loud (LOL) response from me. In my opinion, the show is funny as hell. Beyond funny, however, is the brilliance of how the reality of America at that time was symbolized through the characters of the show. The time was forty and eight years ago, in 1971. The touting of the series as the one bringing reality to prime-time television, in my opinion, is true. As I laugh and watch episodes of All In The Family, I also analyze the scenarios enacted and the views portrayed toward the various groups, in other words, the "isms" (racism, sexism, classism, ableism, anti-semitism, ageism and heterosexism). 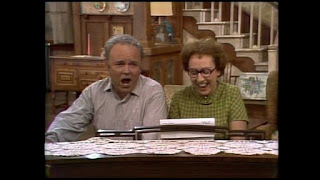 I say the show was brilliantly put together because Archie Bunker symbolized America during that snapshot in time and I am sad to report that we seem to be reliving that era. In fact, it almost seems that we have "Archie Bunker" leading the country. Now for my analysis.....When you look at the show, Archie always thought that he was the smartest or most intelligent person in the room. In his mind, he knew it all and was always right when the fact of the matter is, Archie was the least educated. But that did not matter because of who he was and who he represented. While as Edith is described above as not being the "sharpest knife in the drawer," she was sharper than Archie, however, the problem was she was a woman (sexism) and was always treated by Archie as his servant and verbal punching bag when in many scenes Edith was the smartest in the room. Archie's views on other races, classes, ages, and sexual preferences spoke for themselves and were clearly articulated throughout the scripts. Norman Lear and Bud Yorkin boldly pushed the envelope in days prior to political correctness. 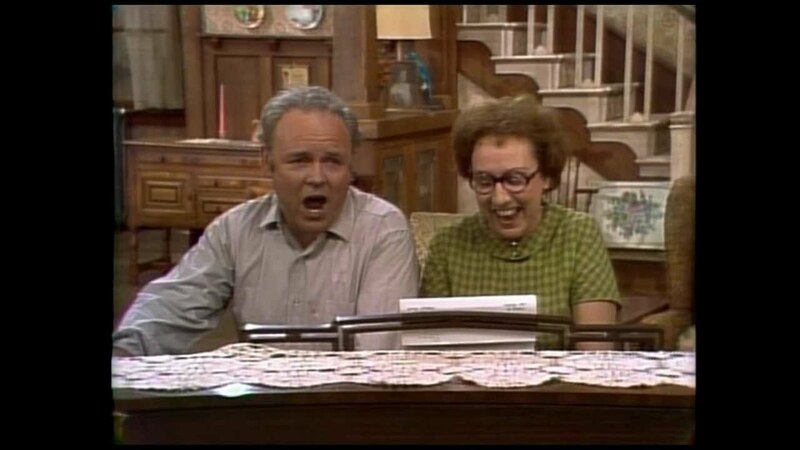 For those during that time and now who were of the mindset of the Archie Bunker character, I am sure they did then and now cheer Archie on as Archie symbolizes a time when America was considered great by them (that's why we have to "Make America Great Again-MAGA"). Many of us who fall into the category of one or more "ism's" believe that to some degree we were able to move beyond the Archie Bunkers of the world because after all, we've had an African American President, right? Based on everything we've seen particularly since 2016, one might argue that the Archie Bunkers of the world had just gone underground or into hiding. Maybe the Archie Bunkers just chose to remain silent for a time and have now been unleashed now that Archie seems to be in the White House (Archie Bunkers of the world unite!). To this day, I am sure there are many who hated the show because it placed our reality, our dirty laundry full frontal in prime-time. There are those in denial of that's who we [America] were and perhaps still is as a country and then there are those who didn't see then or now absolutely anything wrong with Archie's views, opinions and actions. Remember, Archie was the smartest person in the room, loudmouthed and uneducated, but the smartest in the room, at least in his mind, nonetheless. There is that old cliche or quote attributed to French writer Jean-Baptiste Alphonse Karr, that says "The more things change, the more they stay the same," and as I watched the two episodes yesterday where Archie was in the hospital and needed a blood transfusion and had to receive the transfusion from his African American doctor because of his [Archie's] rare blood type (AB Negative), that quote came to mind even as I laughed myself onto the floor and off of the couch. One of President Trump's favorite words is "sad," and the events that we are witnessing as a result of all of the "ism's" (racism, sexism, classism, ableism, anti-semitism, ageism and heterosexism) that was satirically depicted in 1971 seems to have come back with a vengeance since the electing of Barack Hussein Obama and subsequent election of Donald J. Trump and that truly is sad. Nearly fifty years later despite all of the changes, things appear to be the same. My hat's off to everyone who had anything to do with ALL IN THE FAMILY as it is just as relevant in 2019 as it was in 1971.